Finnish Border Guard Dornier 228-200 repaint for the FMAI Dornier 228-200 model. Sun-Air of Scandinavia – Joinjet Donier 328-300 HD repaint for the AIG Dornier 328-300 model. These are only textures. The AIG Dornier 328-300 model is required. Nederlandse Kustwacht Dornier 228-200 repaint for the FMAI Dornier 228-200 model. Tyrol Air Ambulance Dornier 328-100 repaint for the JBAI Dornier 328-100 v2 model. These are only textures. The JBAI Dornier 328-100 v2 model is required. It can be found at avsim.com, search for jbai_dornier328_v2.zip. Contains both DXT and 32 bit textures. 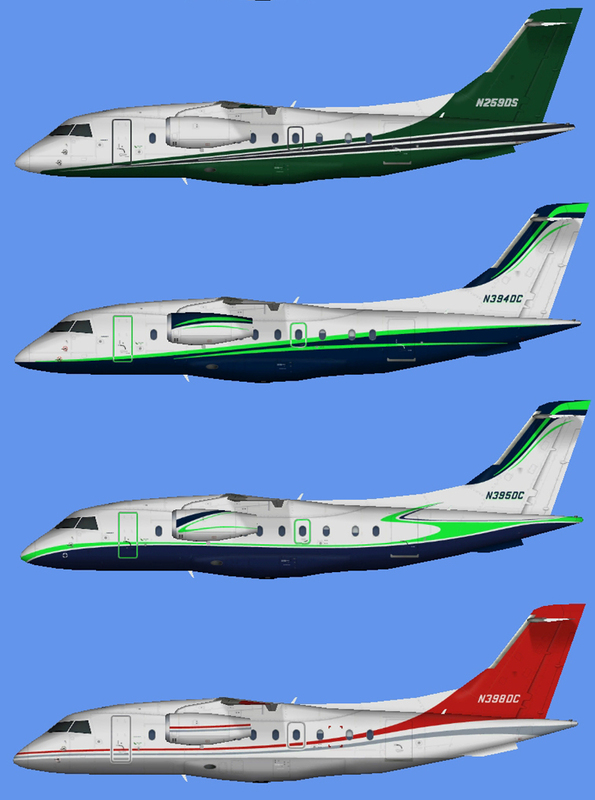 MHS Aviation Dornier 328-100 repaint for the JBAI Dornier 328-100 v2 model. These are only textures. The JBAI Dornier 328-100 v2 model is required. It can be found at avsim.com, search for jbai_dornier328_v2.zip.